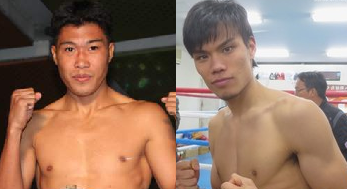 Filipino Veteran fighter Rocky Fuentes is set to face Shohei Omori of Japan on December 31, 2016 at Shimazu Arena, Kyoto, Kyoto, Japan. Fuentes is a veteran 30 years old boxer from the Philippines and has a record of 35 wins including 20 victories by way of KO and has 8 defeats and 2 draws. Fuentes is a former OPBF flyweight champion. He also took a chance for the vacant IBF World flyweight title but defeated by Amnat Ruenroeng via unanimous decision. After that Fuentes had his chance to face the top pound for pound boxer in the world Roman Gonzalez in 2014 for the WBC World flyweight title but also defeated by TKO. Fuentes won his last fight against Romnick Magos via majority decision last April 2016. On the other hand, Shohei Omori is a 23 years old hard hitting Japanese with the record consisting of 17 wins including 12 victories by way of KO and has only 2 defeats. Omori is a former Japanese bantamweight champion and only lost to Marlon Tapales of the Philippines in a title eliminator fight last December of 2015.